A cornerstone of the scriptural canon, the Book of Psalms has been a source of solace and joy for countless readers over millennia. This timeless poetry is beautifully wrought by a scholar whose translation of the Five Books of Moses was hailed as a godsend by Seamus Heaney and a masterpiece by Robert Fagles. 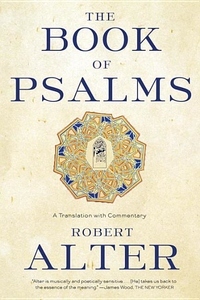 Alter s The Book of Psalms captures the simplicity, the physicality, and the coiled rhythmic power of the Hebrew, restoring the remarkable eloquence of these ancient poems. His learned and insightful commentary illuminates the obscurities of the text."